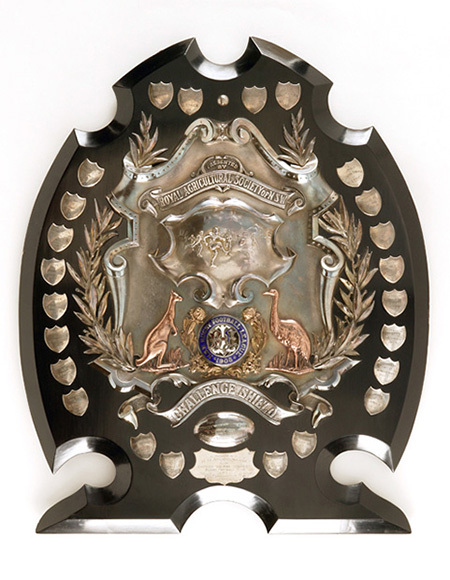 The historic Royal Agricultural Society of New South Wales Challenge Shield has a strong association with the development of rugby league in Australia. The game started in Australia as a rebel football competition established in defiance of the New South Wales Rugby Union. A skilful fast-moving game that has the passionate support of its fans, it has grown to become one of the most popular of Australian sports. The Challenge Shield was the first premiership trophy of the New South Wales Rugby League. It was presented to winners of the premiership in the first six years of first-grade rugby league competition in Australia. The shield was awarded from 1908 to 1913 when the Agricultural Showground — the 'Ag', or 'Agra', as it was known — was the home of rugby league in Sydney. A beautiful black mahogany shield embossed with silver, it was won by South Sydney, Newtown and Eastern Suburbs. It was presented to star Easts captain Herbert 'Dally' Messenger in 1913, after his club won the trophy three years running. 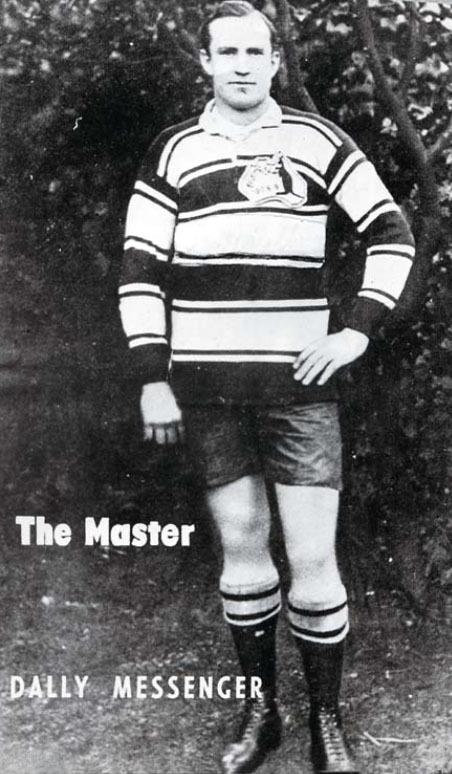 Messenger was a key figure in the early success of rugby league. He defected from rugby union and was a player of rare talent, who quickly attracted a strong following among fans. He went on to represent New South Wales and Australia. National Museum senior curator Guy Hansen said the shield's association with the genesis of rugby league in Australia, and its connection to the game's first great superstar, make it one of the most important rugby league objects held in a public collection in Australia. The shield was acquired from Dally Messenger's family in 2004 and is now part of the National Historical Collection. It was one of the key objects on show in the National Museum exhibition League of Legends: 100 years of Rugby League in Australia, which toured nationally from 2008. This is an edited extract of an essay by Guy Hansen which originally appeared in the League of Legends: 100 Years of Rugby League in Australia catalogue.